Can a Victim of Domestic Violence Drop Charges? 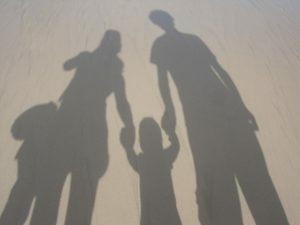 Domestic violence is one of the major causes of separation and divorce. Oftentimes, the shouting and arguing can become physical and quickly snowballs into abuse. Domestic violence is ugly. The physical and emotional abuse becomes traumatic not only for the victim, but also for the other household members. However, the decision to file charges against one’s spouse needs thoughtful consideration. While it’s easy to call on the police and hire a lawyer to accuse the spouse of domestic abuse, dropping the charge is a different thing altogether, and it is also more difficult. Not all people who file charges for domestic violence are actually victims. The accusations are sometimes impulsive because the victims are too afraid or angry at the time. However, once all the arguments and drama subsided, the accusers realize that they want to retract the case. Robert Dodell – Attorney at law, is not alien to instances in which alleged victims have tried to dismiss the charges. There are many reasons for dropping cases of domestic violence. The most common reason is that the victim feels it is unnecessary to pursue the case. This is highly possible if the victim mindlessly made the charges in the first place. Other times, the victim realizes that the accused is the breadwinner of the family, and should thus not be sent to jail. Often, the victim admits that the case was filed just to give the accused “a lesson”. In more serious cases, victims try to drop the charges because of cost issues and the hassle of pursuing cases in court. They are also aware of the stigma associated with domestic violence. The victims usually don’t like being subjects of rumors. In more serious cases, the accusers are also terrified that their spouses might retaliate, this time more violently. Unfortunately, once the cops or the State charges a crime, one cannot simply drop the case. Technically, it is the State that issues the charge, not the victim. Thus, the victim isn’t in the position to drop the charges. Despite this law, victims play a crucial role in the proceedings. They are required by the State to testify in court. Victims are summoned to come to court to give that testimony. Although Victims may change their minds about their spouses, it is the State that will go on with the case. Robert Dodell, Attorney at Law, is here to help victims of domestic violence. He will assist through the entire proceedings. Discussing the decision to pursue charges with an attorney is a wiser and better option, than to look for a lawyer after the case has been filed. An attorney can assist the victims in the process. If you are a victim of domestic violence, hiring an attorney can assist you in this process. 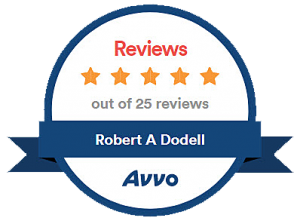 Contact Robert A. Dodell, Attorney at Law.